If anybody can sell hockey in China it’s probably Wayne Gretzky. The Great One has been named global ambassador for the Kunlun Red Star, the only Chinese team playing in the KHL. The team is preparing for its third season playing in Shanghai, though they have plans to move to a new arena in Beijing before the end of the year. 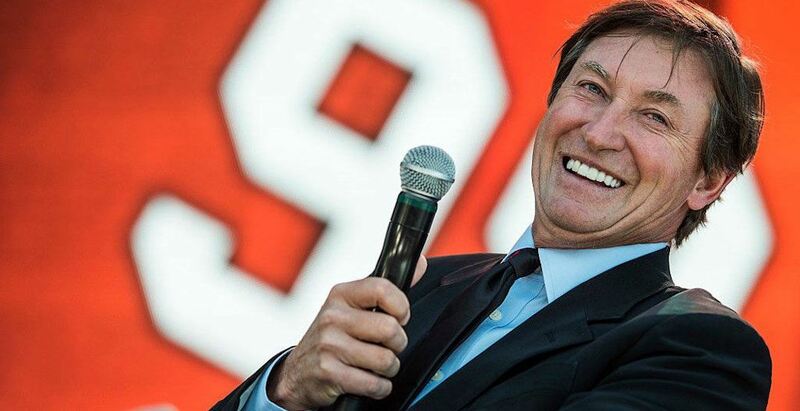 In addition, Gretzky will partner with the Red Star organization to open high-level hockey schools for players aged 8-17 in Shenzhen and Beijing by September. Both initiatives hope to increase participation and fanfare for hockey ahead of the 2022 Winter Olympics in Beijing. Gretzky will make stops in Shanghai, Beijing, and Shenzhen as part of a week-long visit to China next month. This move may not be tied directly to the NHL, but they’ve also been involved in efforts to grow hockey in the world’s most populated country. The Vancouver Canucks and Los Angeles Kings played preseason games in Shanghai and Beijing last year, while the Calgary Flames and Boston Bruins are scheduled to play twice in China this September. While the NHL opted out of the Olympics in PyeongChang this year, most expect the league to be more eager to participate at Beijing 2022.